Our passion is Exercise Physiology, and our team of Accredited Exercise Physiologists (AEPs) specialise in designing and delivering safe and effective exercise and healthy lifestyle behaviours for the prevention, management and treatment of a number of chronic health conditions, injuries, as well as improving your general health and quality of life. 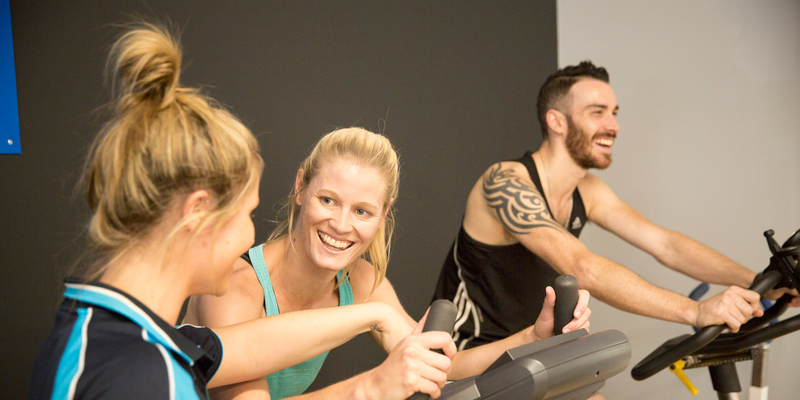 This is your starting point; we will sit down with you one on one and review your past and current medical and health history, establish your goals for Exercise Physiology treatment and devise a personalised plan of action to achieve your goals. Regular re-assessments will also be performed every 8 – 10 weeks (or as necessary) to monitor your progress and ensure you are achieving your goals. Your tailored exercise session will be undertaken with the constant supervision of one of our Exercise Physiologists. This individual attention is particularly important when you require specific rehabilitation or treatment of an injury or health concern, or find you need the extra motivation and support to achieve your goals. Depending on your goals, individual sessions can be undertaken one on one or with a partner. We believe in a holistic health and wellbeing approach, and will help you by developing an individualised action plan to manage other aspects of your life and health, such as incorporating physical activity into your everyday life, ergonomics at work, healthy eating habits, sleep and stress relief. You can undertake an individually tailored exercise program within our private studio. Your program will be regularly monitored and progressed to ensure you achieve optimal results. Unsupervised sessions provide you with an affordable option to supplement your supervised sessions and achieve your goals faster. Your personalised home program will empower you to manage your own health and wellbeing, and accelerate you towards your goals. Your program will be tailored to suit your individual needs and goals and will compliment your supervised sessions. Best of all, we can cleverly design exercises that require little or no exercise equipment! Join in the fun of exercising in a supportive group environment! We offer a variety of classes to suit all ages and fitness levels including cardiovascular disease and diabetes management, weight loss, general health and fitness, balance and falls prevention and sports performance! See the our class descriptions and timetable to find a class that best suits your needs.